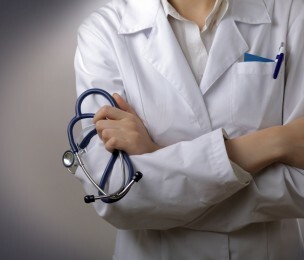 The number of complaints about doctors made by their colleagues or patients is on the rise, according to data from the General Medical Council (GMC). Figures released by the GMC show a significant increase in both patient complaints and the number of doctors reporting the poor standards of their fellow medics. According to the GMC statistics, from 2011 to 2012 there was a 24% increase in complaints received by the GMC, and a 104% rise in complaints made in 2012 compared with 2007. The GMC have reported that the majority of complaints about doctors come from patients themselves and from the families of those patients. The rest of the complaints came from supervising doctors about their employees or from individual doctors about their colleagues’ competency. GPs were more likely to be complained about than other doctors, and male medics were twice as likely to have complaints made about them than their female counterparts. Approximately 30 per cent of all complaints received met the threshold for a full investigation by the GMC, but only 20 per cent of those lodged by the public satisfied the same criteria. Eighty-four per cent of all concerns raised by employers merited an investigation, as did 48 per cent of those made by doctors. Naomi Eady, solicitor in the TSP Clinical Medical Negligence team says ‘it is unclear whether these figures reflect a deterioration in the quality of medical care received by patients in the UK. Perhaps the statistics are more demonstrative of the fact that in recent years the public seem to have gained much more confidence in complaining about bad service and this has seemingly extended into the healthcare sector’.